St. Justin School provides students in grades 3-8 with the opportunity to participate in an after school theater arts program through the contracted company Starting Arts. Students are taught how to act, dance, and sing by experienced instructors. Classes generally meet twice a week for 12 weeks and conclude with a professionally produced performance at a local theater. 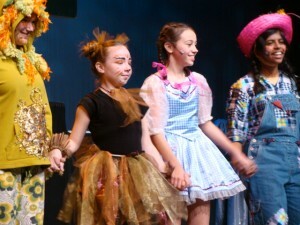 Past performances have included The Wiz, Annie, and Guys and Dolls.